Churches today face increasing risks, especially as they become involved in more diverse, community-based activities. This places an onerous responsibility on officials to ensure that adequate church insurance arrangements are in place at an affordable cost. The directors of 1 Stop Insurance are Christians and in arranging specialist church insurance, we understand your work and particular insurance needs. Our policy can cover pastoral care, with advice lines for this, taxation and legal assistance if required. We tend to use specialist insurers and bring to bear over 30 years experience in this specialist sector. Trustees Indemnity and counselling covers. We want our church insurance program to help you enable ministry and allow you to go about your work of serving God and society without the threat of financial or reputation loss. We encourage your church to consider Risk Management resources, which have been developed by some of our insurers and which we make available to all our policyholders. These will enable you to easily meet your requirements for matters such as Child Protection Policy, Health & Safety and many other issues. 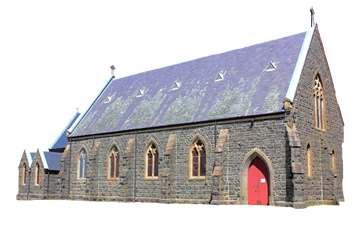 When it comes to meeting the special and varied needs of churches, we’re experts!